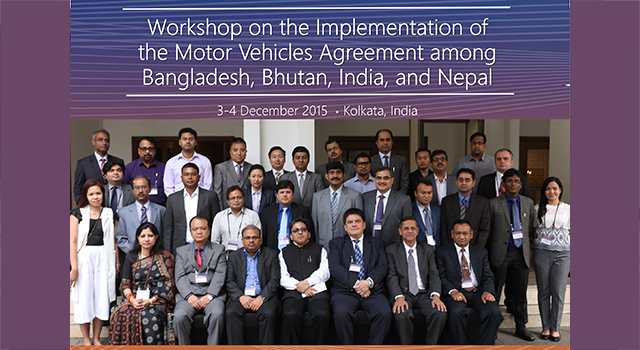 This Workshop on the Implementation of the Bangladesh-Bhutan-India-Nepal Motor Vehicles Agreement (BBIN MVA) shared knowledge on important aspects of the protocols for implementing the BBIN MVA, and discussed the way forward on finalizing the protocol on the movement of passenger vehicles. The implementing protocols, which contain specific provisions on Customs and transport, are currently being discussed and finalized by the BBIN countries. Agreement on the way forward for BBIN MVA implementation, including (i) circulation of the revised draft of passenger protocol, and (ii) submission by BBIN focal points of final comments on the text by 14 December 2015, for possible signing by the end of 2015. 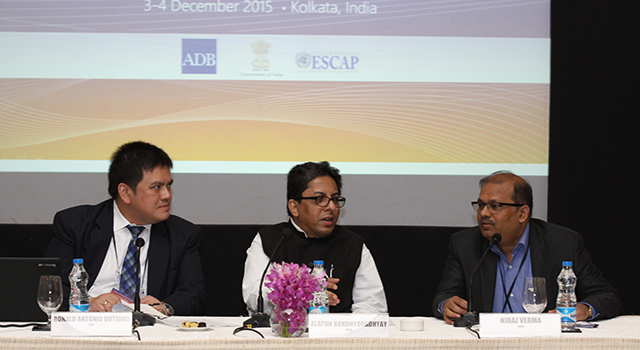 The cargo protocol will be negotiated by the BBIN focal points in either Bangladesh or India in February 2016. Senior officials of transport and Customs of BBIN countries participated in the Workshop, together with experts from the United Nations Economic and Social Commission for Asia and the Pacific (UNESCAP), International Road Transport Union (IRU), Delhi Integrated Multimodal Transit System (DIMTS), Deutsche Post DHL, and other private sector representatives. The Workshop was inaugurated by Mr. Alapan Bandyopadhyay, Principal Secretary, Transport, Government of West Bengal, and was co-chaired by Mr. Niraj Verma, Joint Secretary, Ministry of Road Transport and Highways (MoRTH), India and Mr. Ronald Antonio Butiong, Officer-in-Charge, South Asia Regional Department, Asian Development Bank (ADB). Heading the BBIN delegations were: Ms. Sultana Yasmin, Deputy Secretary, Road Transport and Highways Division, Ministry of Road Transport and Bridges, Bangladesh; Mr. Sangay Tenzing, Regional Director, Department of Immigration, Bhutan; Mr. Sandeep Kumar, Commissioner (Customs), Department of Revenue, India; and Mr. Chandra Man Shrestha, Director General, Department of Transport, Nepal. 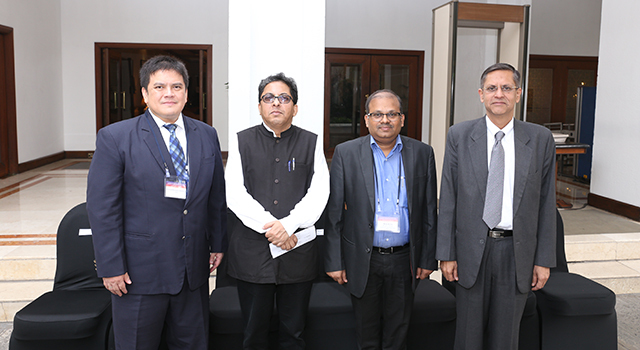 The Workshop was organized by MoRTH with support from ADB. The Closing Ceremony of the BBIN Friendship Motor Car Rally was held on 2 December 2015 and highlighted the importance of the MVA in promoting economic integration among the BBIN countries. The Rally took place from 14 November to 1 December, spanning India, Bhutan, and Bangladesh and was joined by 60 participants from the four BBIN countries. The Minister of Road Transport, Highways, and Shipping of India, Mr. Nitin Gadkari, presided over the Closing Ceremony, attended by other dignitaries from the Ministry and the Government of West Bengal. The Rally was organized by Kalinga Motors Sports Club, and supported by MoRTH and ADB. The BBIN MVA, signed in Thimphu last June 2015, will allow passenger, personal and cargo vehicles to cross international borders and travel along designated key trade routes in the participating countries, reducing costly and time-consuming transshipment of people and goods at the border crossing points, making cross-border trade more efficient.